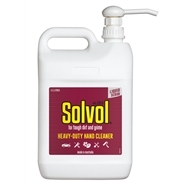 A heavy duty hand cleaner containing citrus oils and fine granules to gently remove ingrained dirt, without the harshness associated with coarser grade abrasives. It is designed to remove most industrial soils including dirt, mud, dusts, coal dusts, oils, greases and solvents. 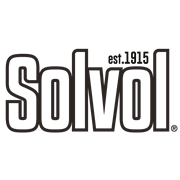 Solvol® contains no petroleum solvents and is pH controlled to more closely match that of the skin. This provides a high level of skin compatibility and natural moisturising. SHAKE WELL. Lather Solvol Liquid into hands and rub in until dirt or grease is dissolved, then rinse with water or wipe dry with a rag or paper towel.